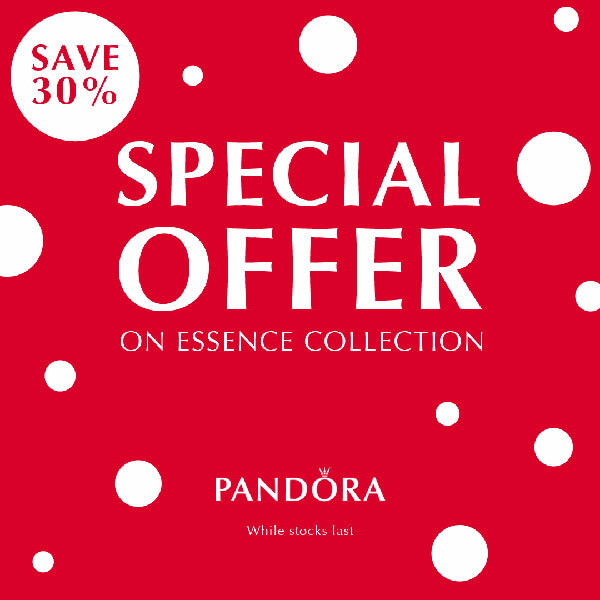 PANDORA promotions are ideal occasions to spoil a loved one or treat yourself! FREE PANDORA Signature Styles with a $125 Spend! 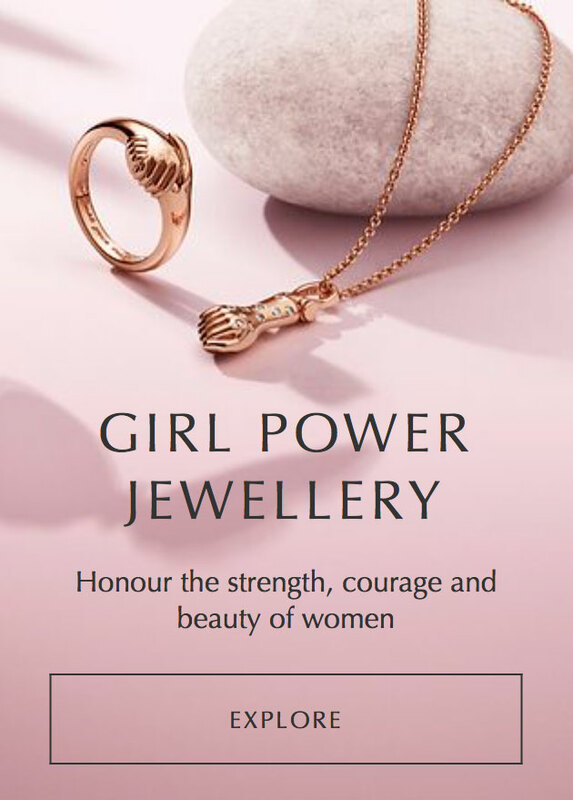 From April 12 – 15 2018 receive FREE PANDORA Signature Style jewellery with a $125 USD purchase. 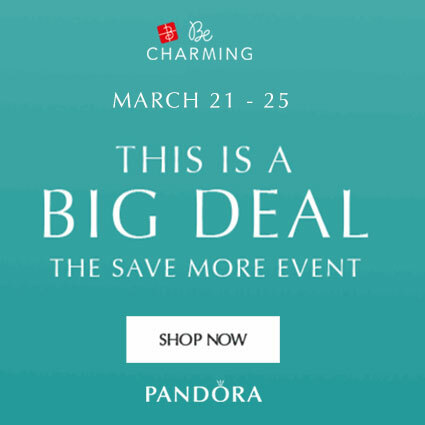 The FREE PANDORA Signature Style promotion is available in store and online at our preferred PANDORA retailer BeCharming.com. Terms and conditions: Limit to 3 free items per person. Qualifying spend does not include gift card purchases. 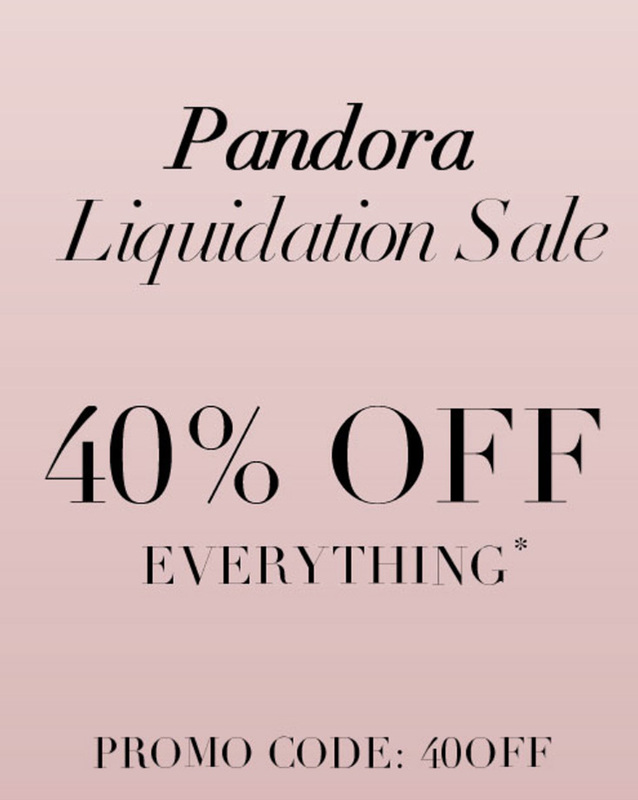 If you love the new PANDORA Signature styles then this is an excellent promotion to add a few to your collection! 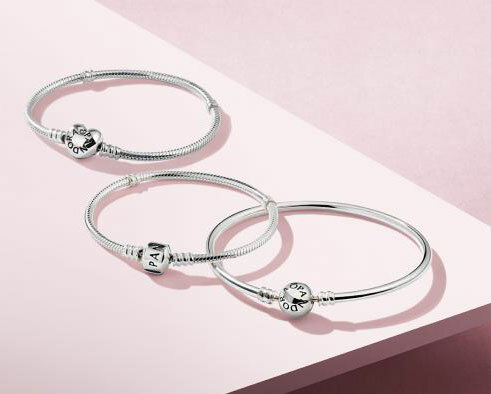 The PANDORA Signature style pieces are elegant and timeless and would make a perfect gift too. FREE Limited Edition PANDORA Jewellery Box! 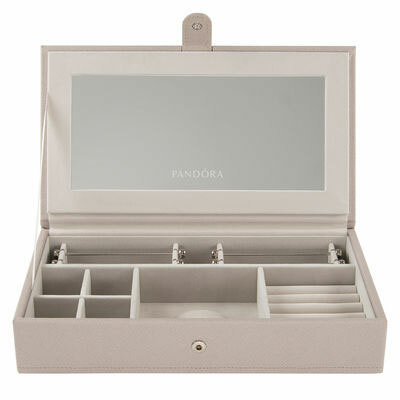 Receive FREE beautiful white leather Limited Edition PANDORA jewellery box with a R$899 spend. This isn’t technically a promotion as the new jewellery boxes are not a gift with purchase but rather are for sale individually. However as they are so gorgeous I decided to feature them anyway! Available for $49 AUD from PANDORA Australia eStore. 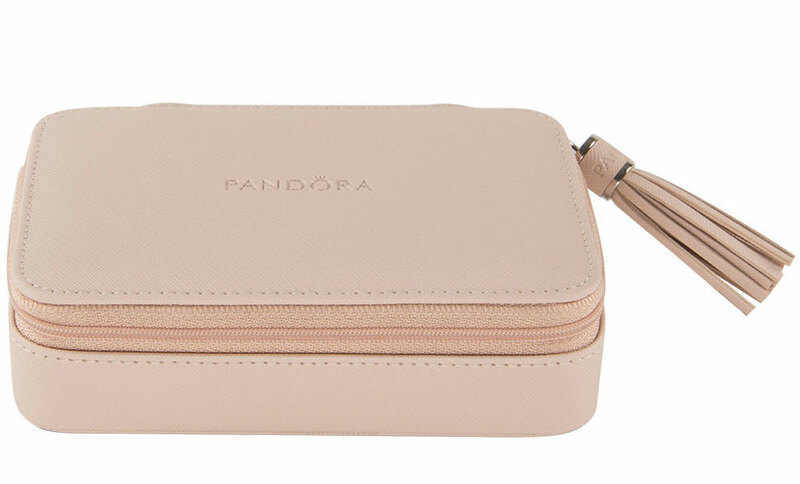 Keep your precious jewellery safe and organised when you are travelling with this handy PANDORA Jewellery Travel Wallet. Featuring a main compartment for bracelets, four small compartments for earrings and charms and a space for rings. Finished with a cream velvety soft interior and a beautiful soft pink exterior. Available for a limited time only while stocks last in-stores and online. Jewellery box dimensions: 16cm x 11cm x 4cm. Available for $89 AUD from PANDORA Australia eStore. Keep your jewellery safe in this stylish Jewellery Stacking Box. Featuring an internal mirror, places for your charms, earrings, bracelets and rings, combine with the stacking tray for even more space to store your precious jewellery pieces. Finished with a cream, velvety soft interior with a beautiful light tan coloured exterior. Jewellery box dimensions: 25cm x 14cm x 5cm, available online or in-store. 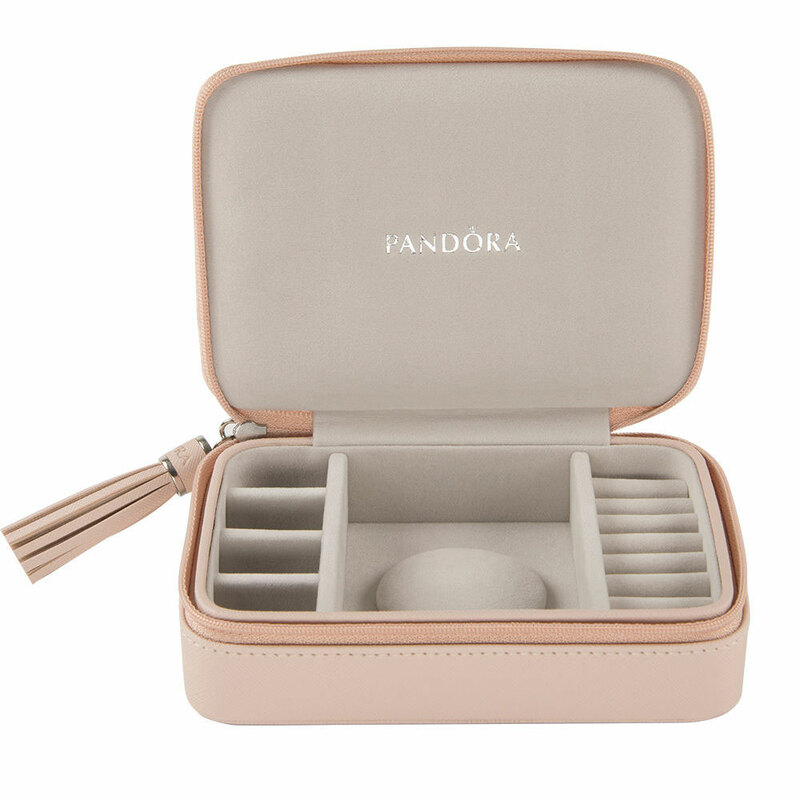 Add even more storage to keep your jewellery collection safe with this PANDORA Jewellery stacking tray. 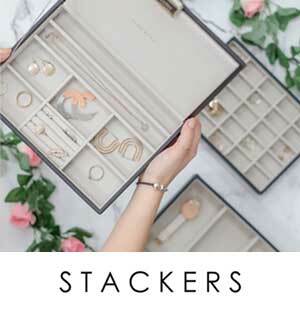 Designed to fit under the medium jewellery stacking box, this tray has small hidden magnets that fix underneath the stacking box, providing more charm, ring and necklace storage compartments. Finished with a cream, velvety soft interior, this stacking tray is available online or in-stores. Stacking tray dimensions: 25cm x 14cm x 3.5cm. 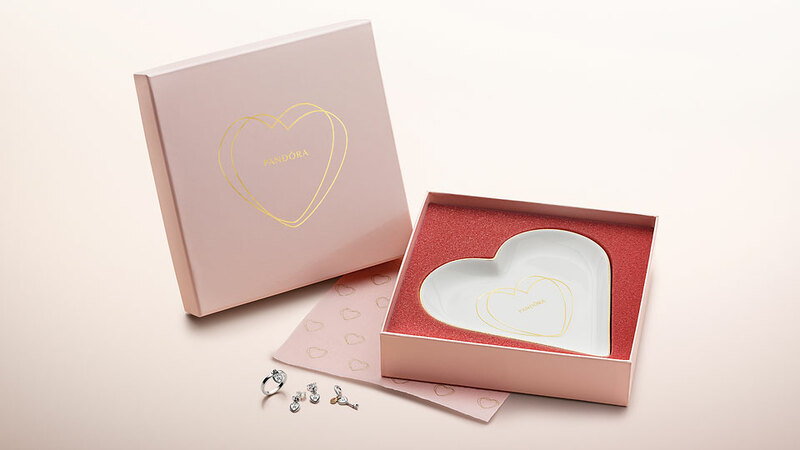 Receive a FREE PANDORA Jewellery Dish with a €99 spend! 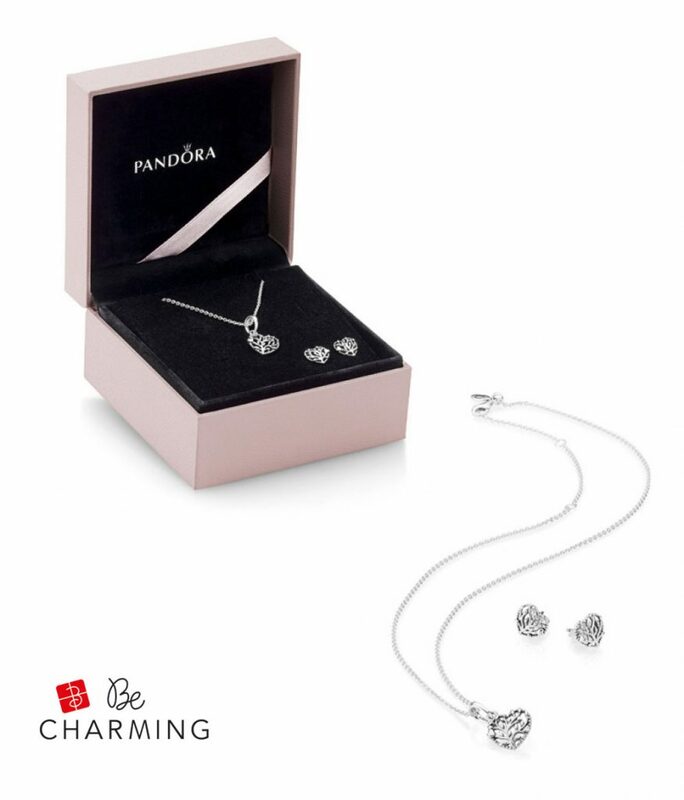 Available for $75 USD from our preferred PANDORA retailer BeCharming.com. Available in Cananda for $85 CAD. Your mother is at the heart of your family tree and the Flourishing Heart Padlock Bangle is the perfect gift to say thank you for her nurturing love. Engraved with the meaningful words ‘Love Makes a Family’ this Limited Edition Flourishing Heart Padlock bangle is presented in Limited Edition PANDORA gift box. 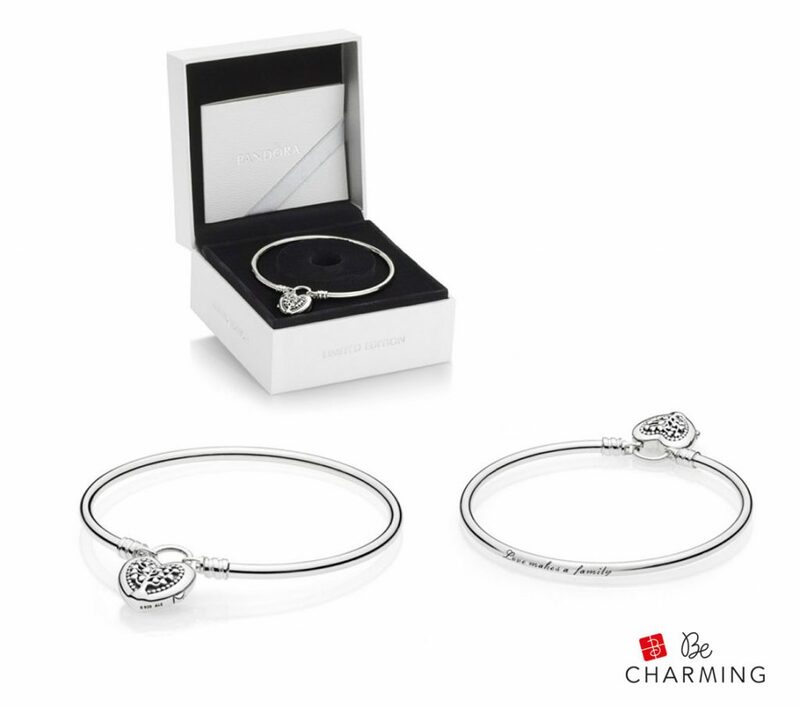 Available for $229USD from our preferred PANDORA retailer BeCharming.com. Available in Cananda for $250 CAD. Express your love for the woman who holds a special place in your heart with this gorgeous two-toned sterling silver and PANDORA Rose Clasp Bracelet featuring two Shining Path Clips and the new Part of My Heart charm. Presented in a pretty pink Limited Edition PANDORA gift box. 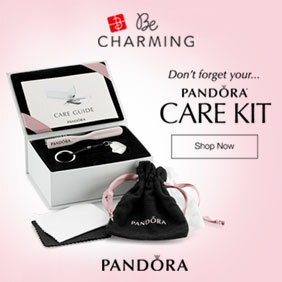 Available for $99USD from our preferred PANDORA retailer BeCharming.com. Available in Cananda for $110 CAD. 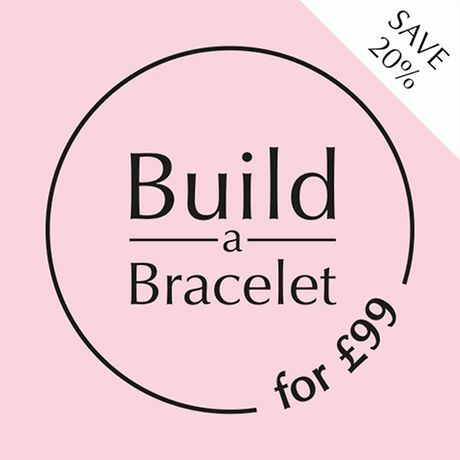 The perfect bracelet for the perfect mum! The classic PANDORA silver Heart Clasp Bangle is presented with the new Perfect Mom dangle charm with “MOM” spelled out in silver and pretty pastel-colored crystals. Presented in a Limited Edition pink PANDORA gift box. Available in Cananda for $110 CAD and in the UK for £89. The Flourishing Hearts range is one of my favourites from PANDORA and it is incredibly pretty. The gift set includes the intricate Flourishing Hearts pendant and silver chain paired with PANDORA’s new Flourishing Hearts Stud Earrings. Presented in a Limited Edition pink PANDORA gift box. Available for $129USD from our preferred PANDORA retailer BeCharming.com. Display your love for your sparkling mum with this classically styled PANDORA Floating Locket accented with clear cubic zirconia detailing. Inside the sapphire crystal glass the three new Petite Letters Charms spell out MOM. Presented in a pretty pink Limited Edition PANDORA gift box. Finally I wanted to mention the pretty Serene Lotus Flower Dangle Charm (797259CZ) which only seems to be available in Canada for $50 CAD and Singapore for S$69. Exquisitely crafted from sterling silver the PANDORA Serene Lotus Flower Charm is a delicate double dangle is fashioned in the shape of two blooming lotus flowers; one rendered in filigree, the other in pink enamel. 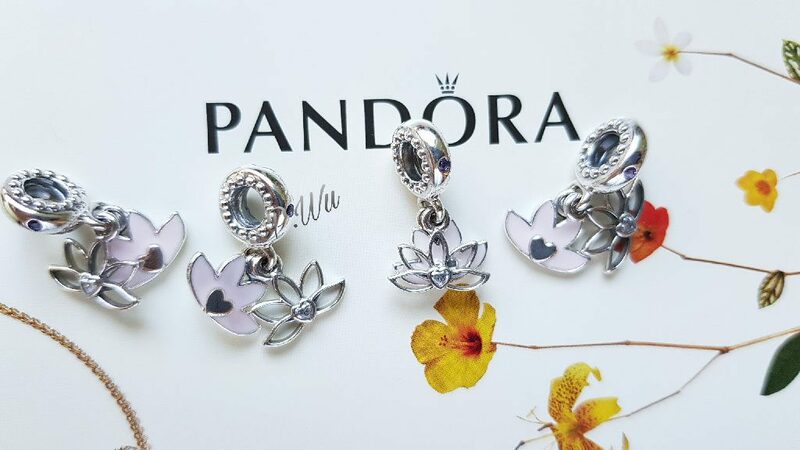 In this live image of the PANDORA Serene Lotus Flower Dangle you can see the pretty movement created by the two separate segments. If you would like to purchase this charm but require assistance please email me at dora@theartofpandora.com. I have a PANDORA friend who is willing to help and says the $69 SGD is an estimated $55 USD. If you want to take part in one of these PANDORA promotions but live outside of the country you can use a Mail Forwarding Company like Borderlinx.com which provides a Shipping Address and can even shop for you if your card payment is not accepted! Once the package arrives at their office they forward it onto your actual address. Cost is based on weight and not size and it quite reasonable. 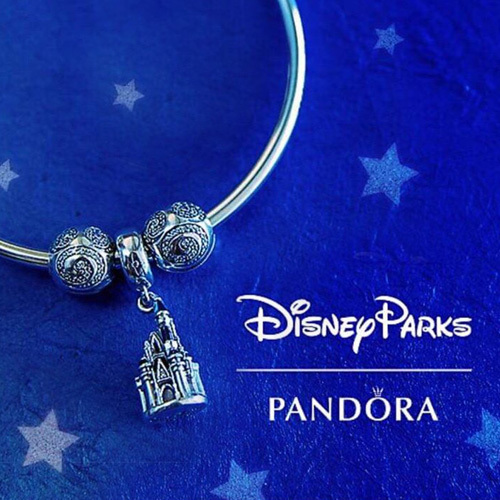 Will you be taking part in any of the PANDORA Mother’s Day promotions? Let us know in the comments below! I am in Australia. We have the lotus charm. I also bought all the jewelry boxes. The exterior colour of the jewelry boxes is quite dull but I love the interiors. So happy that Pandora finally released their own jewelry boxes. The travel case is cute and packed away for my next trip. Oooh that’s exciting that you have the new PANDORA jewellery boxes! They have released jewellery boxes before but I believe this is the first stacking style design as the previous ones had sections which sat inside the main part of the box and lifted out. Did you also buy the Lotus charm?